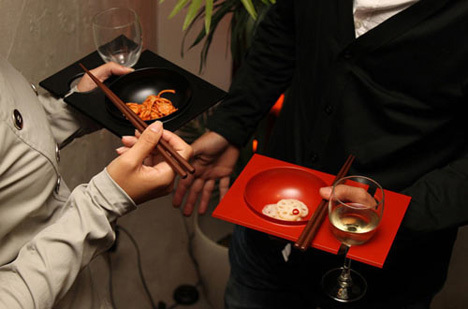 SAEBA.COM: Dinner Party Without a Table = Better Guest Conversations? Dinner Party Without a Table = Better Guest Conversations? Dinner parties are a traditional way to introduce acquaintances to one another, but the main element of the dinner party is its biggest hindrance: the table itself. Closer is a project from Marco A. Guadarrama that seeks to bring people physically nearer to one another while they mingle. 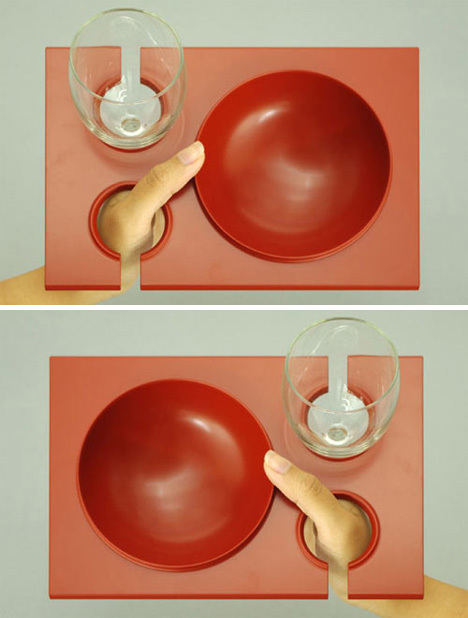 Consisting of a bowl set into a flat surface with two holes for a thumb and a drink, Closer lets guests enjoy their food while giving them the freedom to move around the room and enjoy the company of other guests. 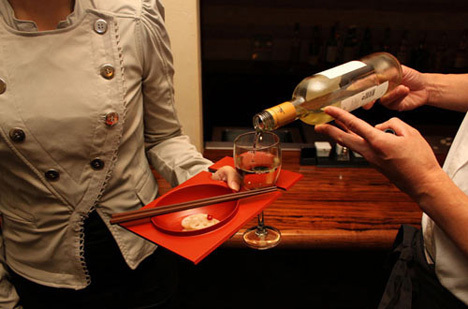 Inspired by traditional Japanese plates, this unusual dish can be used by right-handed or left-handed people, depending on which way it is carried. 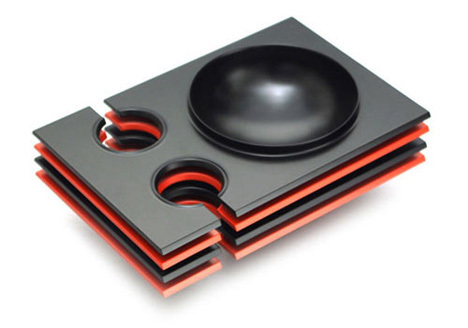 Whichever hole is not occupied by the holder’s thumb is used to hold a stemmed glass, keeping libations always close at hand. Closer encourages both conversation and personal space, taking away the physical barrier of a table but giving each person something to hold onto as they mingle.